When it comes to marriage counseling, the hardest part is how to talk your partner into agreeing to see a marriage counselor. However, this is not the only thing that you need to do. In order to get the most of your time with a marriage therapist, it is important that you prepare a list of marriage counseling questions beforehand. 1. What are the concerns? It is important that couples understand the key problems facing their relationships as well as be willing to talk about the issues not only with each other but also with the marriage counselor. Some of the issues that are most likely to surface during a marriage counseling session are child discipline, finances, career concerns, communication, step family problems, in-laws and physical intimacy. Other problems could be things such as personality differences, acute or chronic illness, infidelity and addictive behavior. Couples can fight for decades over seeral issues and not be able to identify the specific issues that they need to deal with. This is why it is important that you identify the key issues that you will discuss with your partner in front of a counselor. 2. Which of these concerns are the most significant? You identified the main issues that you could be harming your relationship in question number one. At this stage, you need sort the issues according to priority and then tackle them constructively. Your therapist will help you sort the issues in terms of importance. Initially, you may disagree with your partner over issues that need the most attention and those that need least attention. For instance the wife may complain the husband spends too much time away in the office. On the other hand, the husband could be concerned that his wife is spending too much money above the set budget. 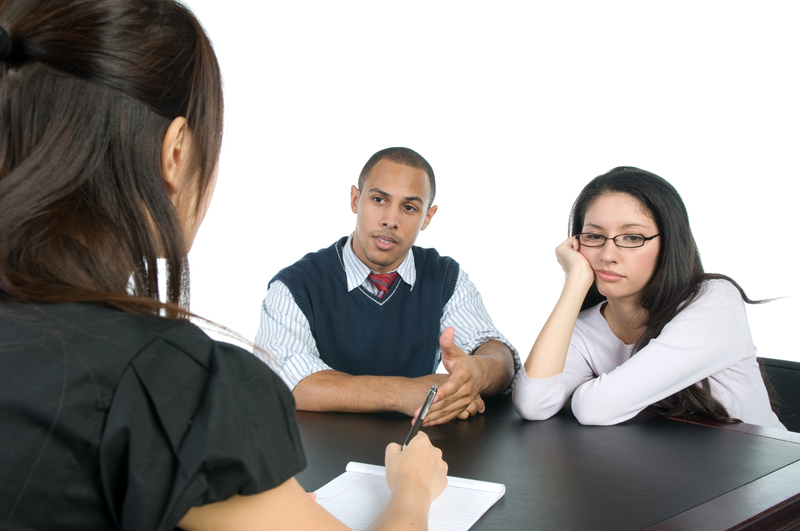 By asking the right marriage counseling questions that encourage all the parties to discuss their views, a marriage therapist will help couples determine the issues that need to be tackled first and then prioritize other issues according to their importance. 3. What is your feeling regarding a specific issue and why? In order for you and your spouse to understand the dilemma that faces your relationship as well as how to deal with the issue, it is important that both of you air your views regarding these issues. For example, if you are a husband in a relationship, you may not know that your Friday poker sessions with friends are causing your wife problems. Likewise if you are a wife, you may not know that your frequent conversations on phone with your husband annoy him. Although none of these issues can be said to be especially wrong, you and your partner may need to compromise in order to help one another, for instance, play poker every other Friday. As for the wife, you may have to carry out your phone conversations when your husband is not at home. Knowing how each person feels about an issue is among the most important marriage counseling questions for fixing a relationship. 4. Are you ready for a Divorce? If you are concerned that things have gone beyond repair, one of the more common marriage counseling questions that you could ask is if you should still stay together. You can only proceed with a divorce if both of you agree to the divorce. Otherwise, you may want to try marriage counseling to try to salvage your relationship. Divorce is not only hard but also quite expensive. This is why the two of you need to be absolutely sure before proceeding with it. 5. What is the one thing that you are willing to do in order to improve things? In most cases, a marriage therapist will ask spouses to come up with one change to their behaviors that could better their relationship. If you are the husband and you are going out 3-4 times a week with your buddies, you may have to reduce this to 1-2 times weekly so as to save your marriage. For a wife who spends $500 a month on groceries, you may have to cut it to maybe $400. These changes might be small, but they show that you are willing to work on yourself to improve your marriage. 6. Do You Still Love me? While this is one of the most elemental marriage counseling questions, it is a very important one. Find out from your spouse if he or she still loves you. Falling in or out of romantic love is quite easy but love that holds true marriages together tends to run a lot deeper. If you see that your partner still has deep feelings for you, it is advisable that you continue working on our marriage. 7. What Do You Hope To Achieve From Marriage Counseling? Another one of the best marriage counseling questions that most couples ask is what their spouse intends to achieve from counseling. Find out from your partner what they expect from the marriage counseling. If it is obvious that your spouse went into counseling with the aim of saving the marriage just like you, then it is likely that the two of you can work things out. 8. Are There Past Conflicts That Need Resolving? If there are issues that remain unresolved, it is nearly impossible to move forward. For one, the past is likely to come up during future arguments. Also, it is a bit difficult getting close and comfortable with a person that you are still angry with. This is among the marriage counseling questions that will help you resolve pending issues so that you can move forward once and for all.